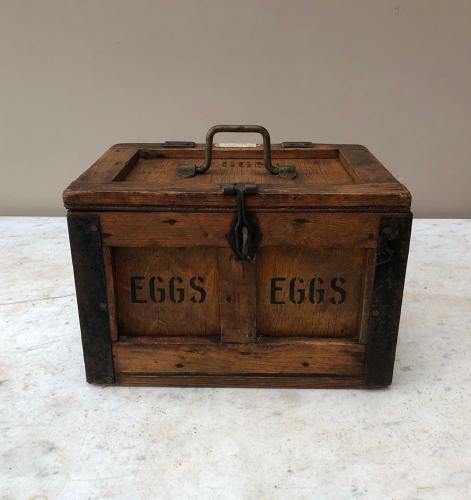 Early 20th Century lovely condition travelling EGGS Box. Pine with ply panels and original brass carrying handle. It holds 2 Doz Eggs (still has trays inside). EGGS twice on the top...on the front and on the sides. All sides shown with photographs. Lovely size.